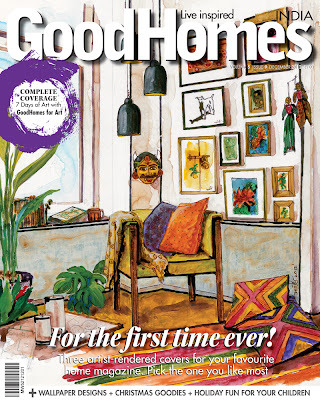 Decorate Me Pretty: The Artsy Post! Someone once said "Because Art is never an extravagance." Now whoever said that was probably rich and was just trying to justify his profuse spending at that time. But let us give this guy some benefit of doubt and think that maybe what he was trying to put across was that art is not just for the higher circles, maybe he wanted to tell us that normal people like you and me can understand, appreciate and collect art too. You just need to have the hunger for beauty, for that something extra beyond what is visible through the naked eye. 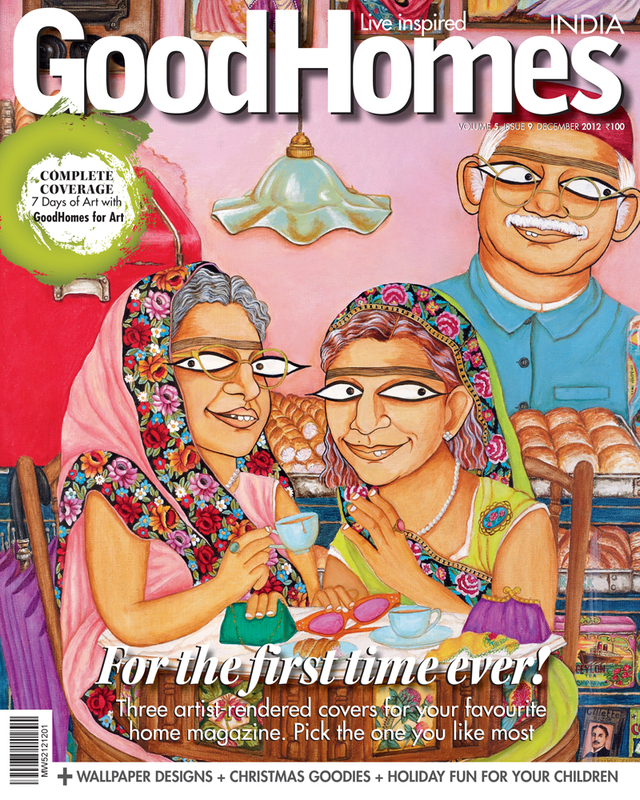 GoodHomes magazine took a great step last month by hosting a week long celebration of Art in Mumbai with a motive to bring it out to the public in order to break the barriers of classes that we generally associate with art. Not only this, they have gone a step further and dedicated their December issue to art and this time instead of 1 there are 3 different cover pages to it, each designed & hand painted by 3 great artists - Aarohi Singh, Nilofer Suleman and Viveek Sharma who have done a fabulous job to commemorate the movement. The hand painted look of the covers gives you another perspective, it reminds me of the pages in fairy tale books that we use to read as kids. I'm sure it means something different to each one of us. Everyone likes to imagine, it allows us to see and be in a place that's not real or is a better expression of something that is real. Same is with art, the extraordinary expression of the ordinary draws you towards it. So a crazy coincidence happened with me or call it the law of attraction. Ever since I have got back from my holiday in Prague this October (fyi - the place is a hub of Art & Design), the bug had bitten me too and I've been reading and looking up stuff on artists, forms etc. This is something very new for me and at every step I go "whoaa...I don't know anything about this stuff" and then I learn a little more every day. 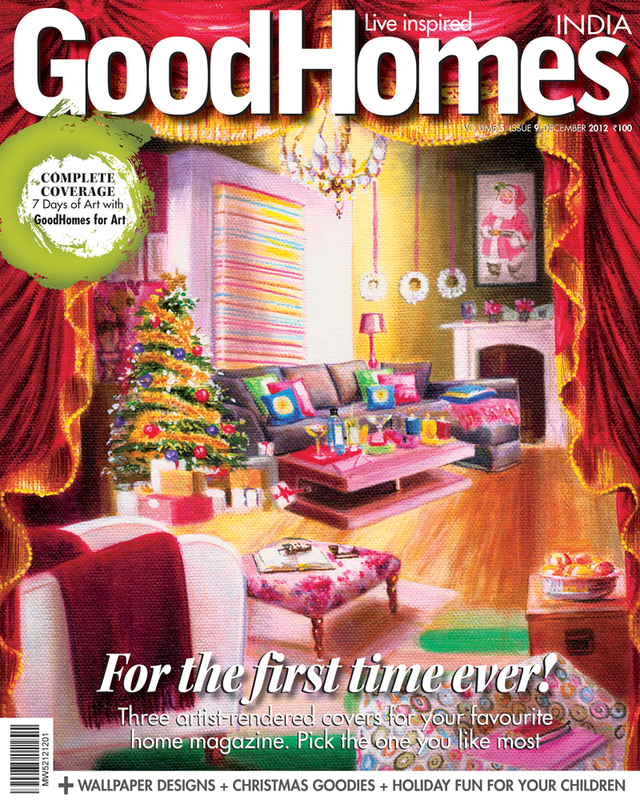 And while I was at it, this email popped in my inbox from GoodHome Magazine asking me to write about their December issue, which is all about ART! As they say it, 'Like attracts Like'. 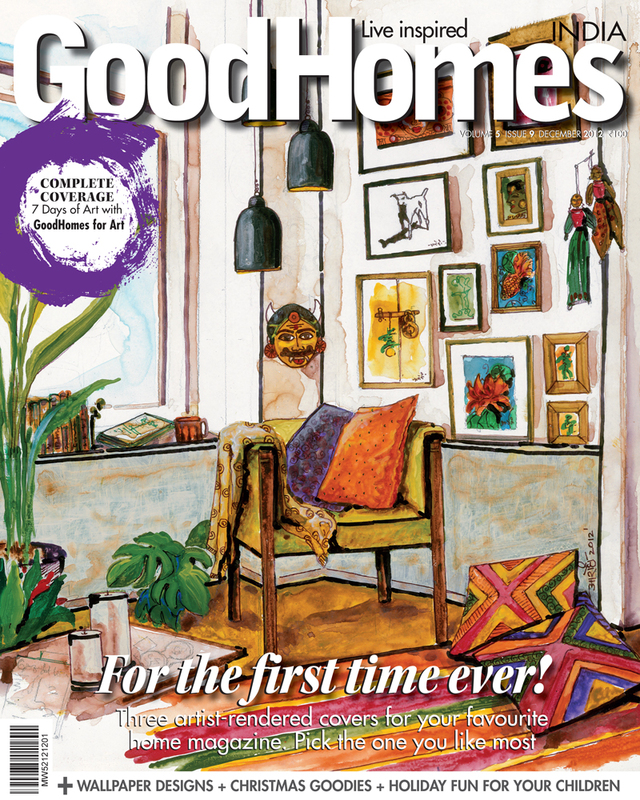 And for those of you inspired by all this talk about art, GoodHomes is holding a contest based on DIY entries which could earn you some great goodies. So get your creativity flowing and check out the details here. 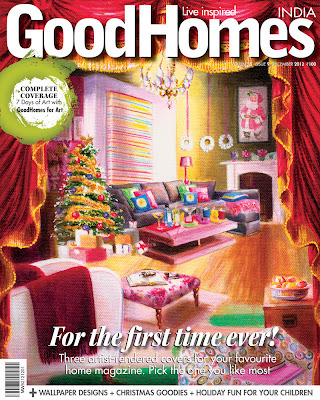 Also, grab a copy of this exclusive December Art issue to get that extra dose of inspiration. Do share your thoughts via the comments box below because as you know it, I always love to hear from you. Cya soon! That's quite an ensemble you have here in this post. What an inspiration you've got. That too from a place like Prague.